Medical profiloplasty refers to the various types of aesthetic act used to improve the profile, making it more harmonious or gender-suitable, i.e. a masculine profile for men, and a feminine profile for women. 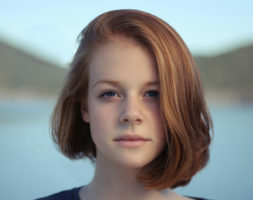 This technique needs an expert eye, with knowledge of the facial characteristics and proportions for each zone ( its width, height, projection and angles ). Hollows are filled with hyaluronic acid, giving a rounded shape to the female forehead, and a rectilinear shape to the male forehead. The correct forehead projection and eyebrow position is established. Lumps, hollows and wonkiness are corrected : a convex dorsum is created for men, and a concave dorsum for women. The projection criteria described in the ‘Chin’ file are respected. 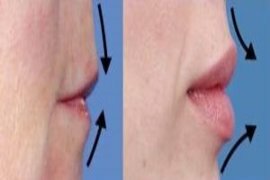 A square shape is given to the masculine chin, and a straighter, more elegant shape is given to the feminine chin. Lips are a very important element for the face’s sensuality. Many criteria have to be respected. 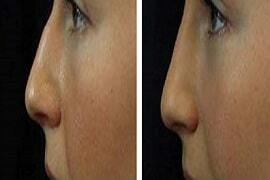 A rounded shape is given to female cheeks, and a squared-off shape to male cheekbones. 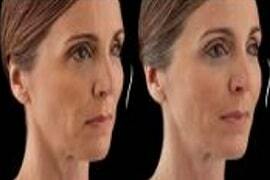 The jawline should be well-defined, with a rounded mandibular angle for women, and a square mandibular angle for men. Hyaluronic acid is ideal for correcting all forehead and nasal profile irregularities, the cheekbones, the chin and lip projection, and it can be used to modify the jawline and the nose. 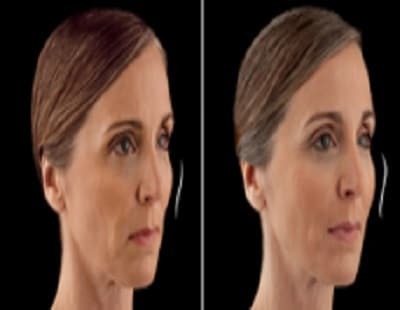 It must be added that this technique only allows us to increase the volume of a facial feature, for example the forward projection can only be increased, not decreased. Surgery is required to reduce a chin’s forward projection. 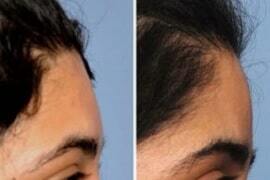 Results are immediate and amazing, and last about a year and a half, and a little less for lips. There are few side effects. Swelling is rare, and any light bruising will only last a few days. I had the opportunity to benefit from Doctor Romano's expertise. The result is stupefying, the traits of my face are much more masculine. I always had a childish face, not masculine enough, thanks to Doctor Romano’s injections I finally have a manly face! I am very satisfied with the result and I recommend her! Having been a patient for years, I recommend this cosmetic doctor, always very attentive of her patients. The results are very natural, my face is much more manly, I’m delighted.